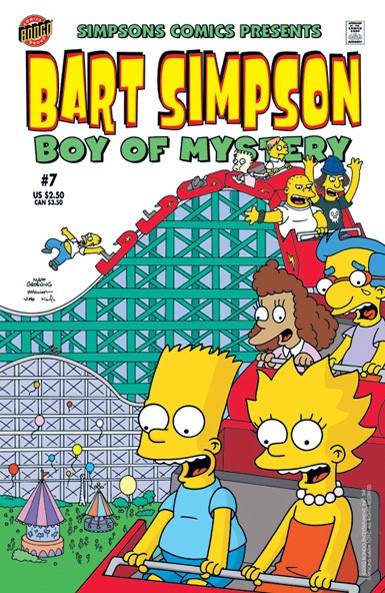 Bart Simpson Comics 7 was released in USA in February 2002. 1.1 See You Later, Alligator! 1.3 Bart Simpson and His Family Visit Stampy The Elephant In: All's Veldt That Ends Veldt! Main article: See You Later, Alligator! Bart Simpson and His Family Visit Stampy The Elephant In: All's Veldt That Ends Veldt! Main article: All's Veldt That Ends Veldt!